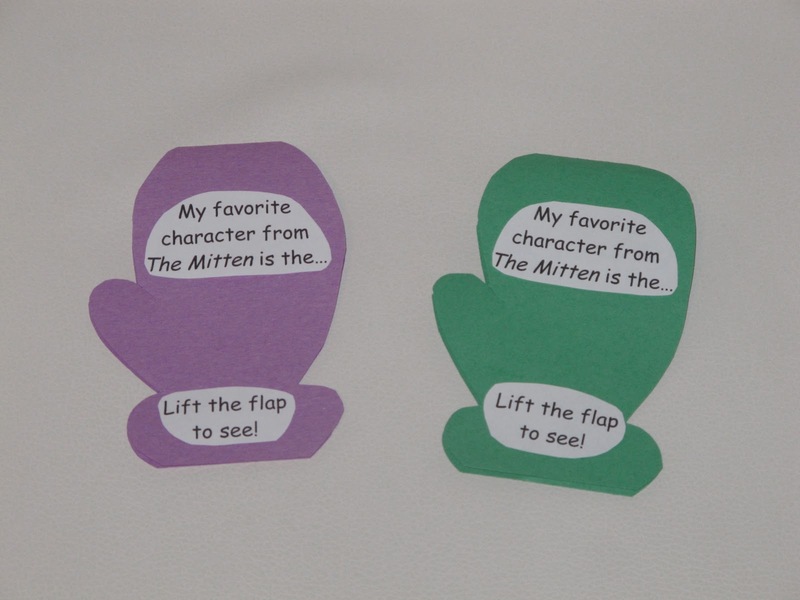 I happened to be in a pre-k classroom this week where they had read The Mitten that morning. 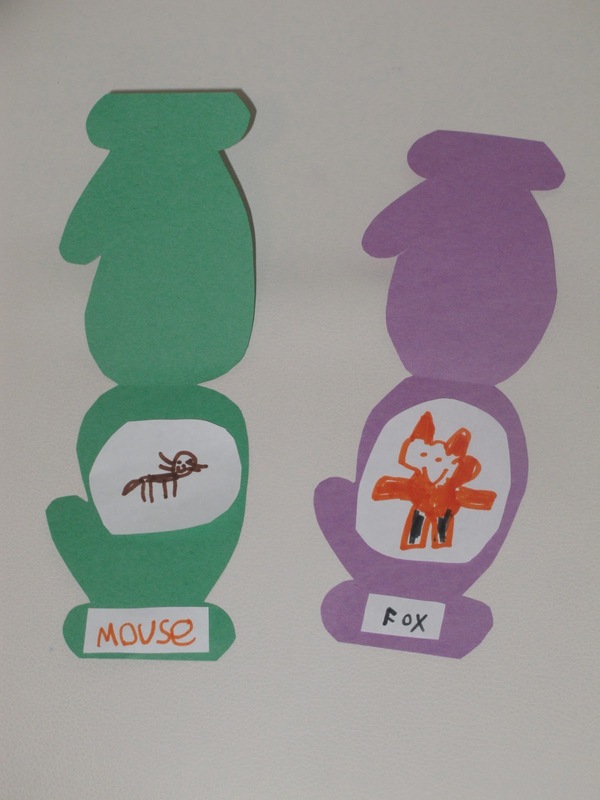 I recalled a very fun activity from What The Teacher Wants and Under The Alphabet Tree where they wrote and drew different animals inside the mitten. You can see their activities HERE and HERE. I had always wanted to do that activity, but I didn't have the materials. Thinking on the spot, I created an activity inspired by those two lovely ladies. I had the kids draw their favorite animal from the story on a piece of blank white paper and write what animal they drew. I think it turned out pretty cute for an on the spot creation! I just love kid art! They had lots of fun with the activity! Next year I hope to do something similar but that is more thought out so it can be "cute-ified". I love this idea! I'm going to need to remember it for next year for sure! Thank you for sharing.